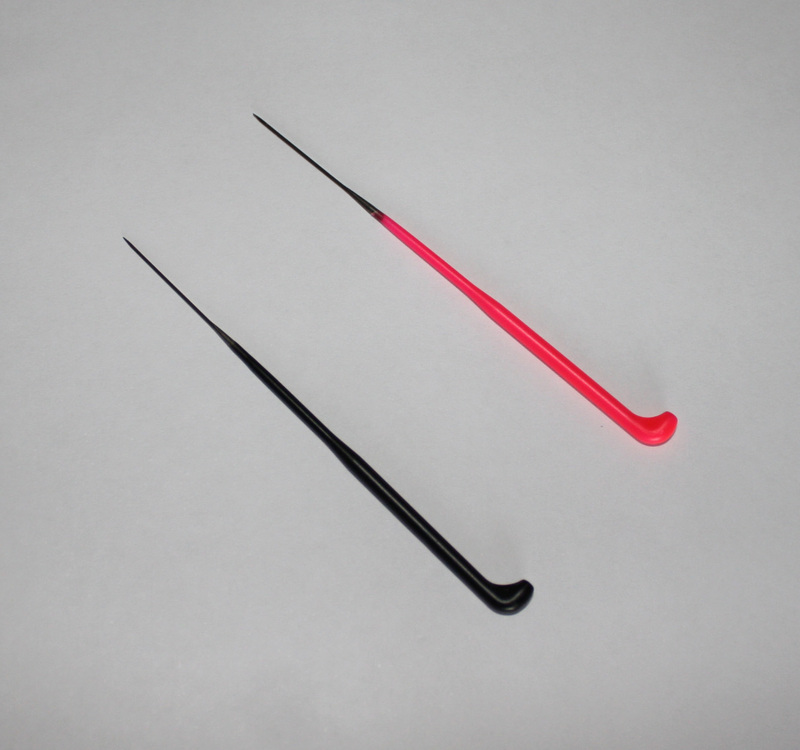 pink is 42g 1 barb on each edge, placed at different heights – picks up hair from ends instead of the middle with no breakage to hair. no visible holes on head. you can find some designed by me and some vintage patterns on my website in the shop under patterns.